Breast reconstruction surgery offers a way for women to get their natural bodies back after losing breasts to cancer. 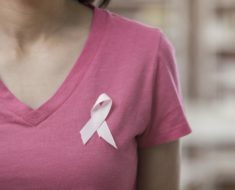 It offers a great way to restore your natural figure after mastectomy.What Is MastectomyMastectomy is a procedure where the doctor removes one or both breasts in order to get rid of the cancer. To do this successfully and eliminate the risk of remaining cancer cells, all of the tissue must be removed. This means that all of the skin, fat and other tissue that makes up the breasts is gone. The end result is a flat chest. With a single mastectomy, one side will be completely flat; with a double, the chest is completely without breasts.The psychological effect of mastectomy is devastating. Although it initially gives women hope, triumph and closure, knowing that the disease is now gone from their body, a darker mood sets in once this initial feeling fades. You are now left with a disfigured body that causes embarrassment and shame. Breast reconstruction surgery offers a way to reclaim your body and restore your breasts to a healthy and natural state.Breast Reconstruction OptionsFollowing a mastectomy, many women have trouble considering doing breast reconstruction. This surgery to remove cancer can be traumatic and painful, and the last thing most women want to do is get back under the knife. 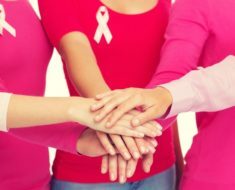 However, studies show that breast reconstruction surgery works best if done immediately following mastectomy. It is easier, more effective and less painful if done immediately. There are also some techniques that make it easier.Tissue ExpandersBreast reconstruction means placing implants behind the chest muscles so that you can have your chest back. One way to make the implantation procedure easier is to use a tissue expander. This is sort of like a balloon. This sac is filled with saline gradually over time to help the tissue inside the chest gradually get used to the implant that’s going to be put in. By expanding this tissue over time, it is given a chance to slowly stretch. Then, when the surgeon puts in the implants, it is not such a shock.Implant OptionsJust like in a regular implant procedure, you’ll be given a choice by the doctor of whether you’d like saline or silicone implants. Silicone is generally considered to be more natural in terms of look and feel, but saline is also good. Some women prefer saline because they’re worried about the silicone implants rupturing, although this risk has been reduced to almost zero.Another option is to use fat tissue from other parts of the body for your implants. This technique is fairly new and not all doctors perform it, but you might want to ask your physician. 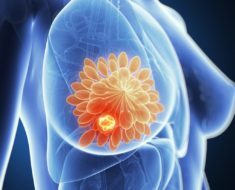 It requires a bit more surgery, but the main advantage is that you won’t have any foreign tissue in your body.Whichever option you choose, breast reconstruction can really help you get your breasts back after you’ve lost them to cancer. If you can, get it done immediately afterwards so that it will be easier.